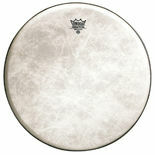 Special pricing on this discontinued Ludwig Marching Drum Head! 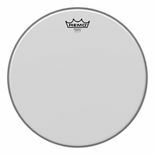 Special pricing on this discontinued Ludwig 15" Rocker Silver Dot Clear Drum Head! 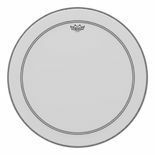 Special pricing on this discontinued Ludwig 12" Strider Silver Dot Clear Marching Tenor Drum Head! 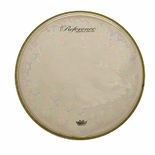 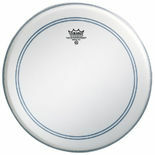 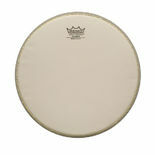 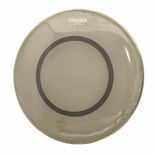 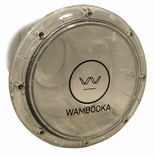 Special pricing on this discontinued Ludwig 8" Strider Silver Dot Clear Marching Tenor Drum Head! 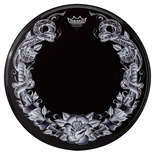 Remo Tattoo Skyn Serpent Rose on Black Bass Drum Head - 22"
The Remo M5 Coated Concert Drum Head is a especially thin 5-mil diplomat type batter drum head which is designed for situations where soft "exposed" playing is the norm. 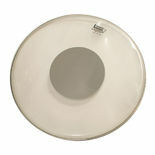 Special pricing on this discontinued Ludwig 18" Rocker Silver Dot Clear Bass Drum Head! 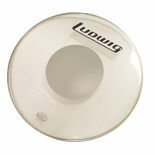 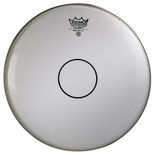 Special pricing on this discontinued Ludwig 20" Strider Silver Dot Clear Marching Bass Drum Head! 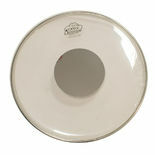 Special pricing on this discontinued Ludwig 24" Strider Silver Dot Clear Marching Bass Drum Head! 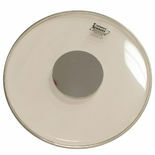 Special pricing on this discontinued Ludwig 18" Strider Silver Dot Clear Marching Bass Drum Head!